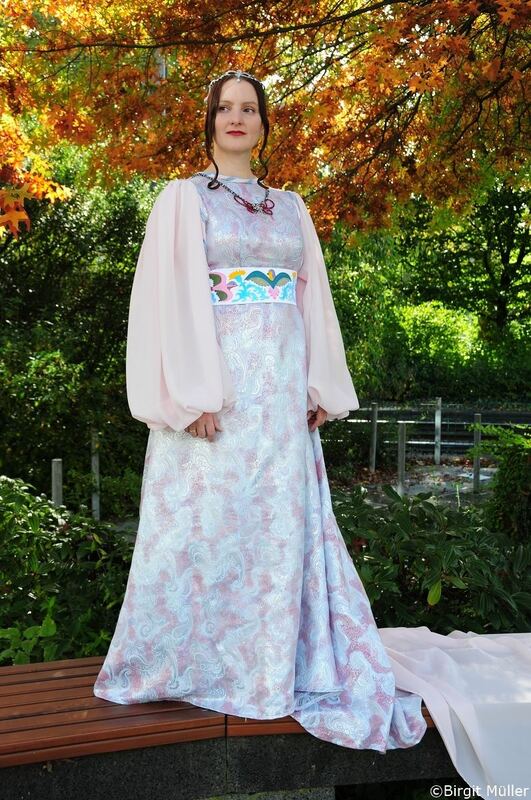 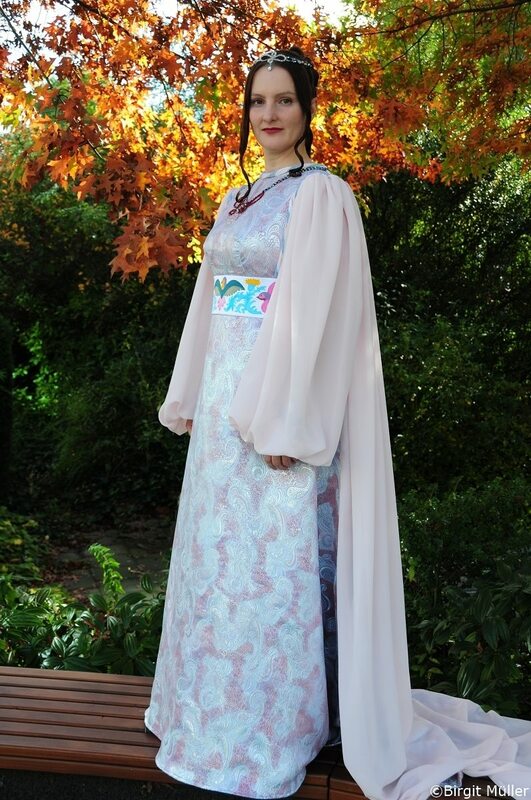 The gown is made of silver and light blue brocade which is additionally hand painted with antique pink and light pink blue fabric paint. 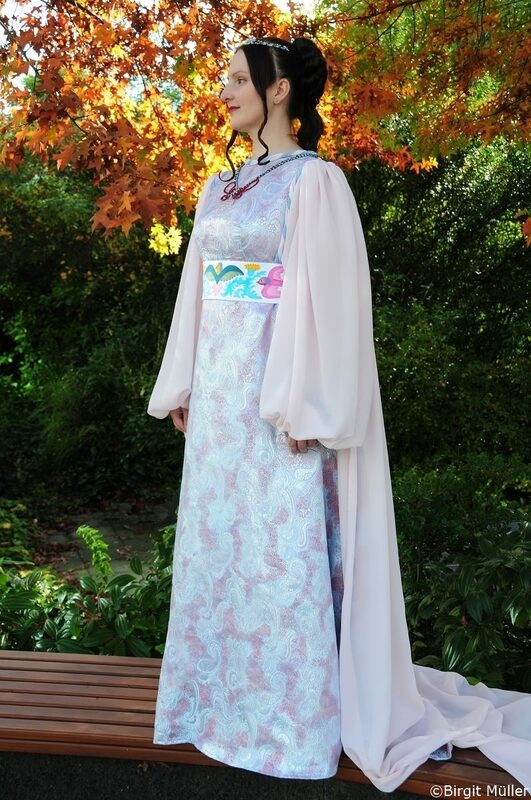 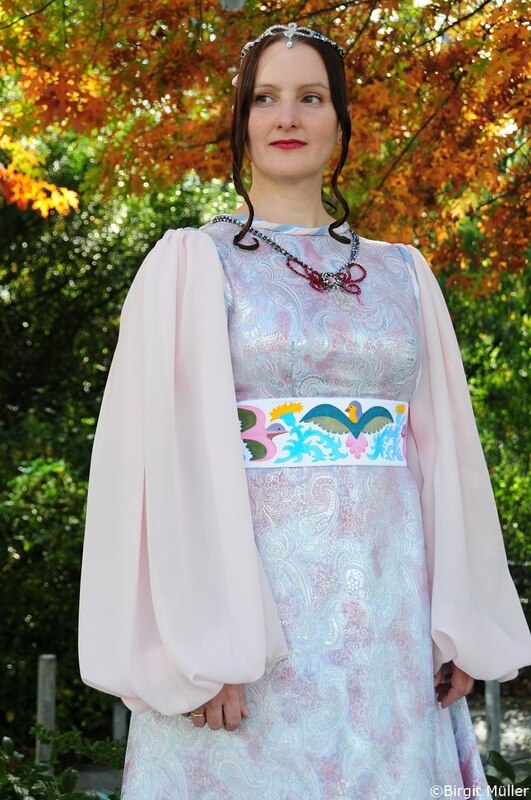 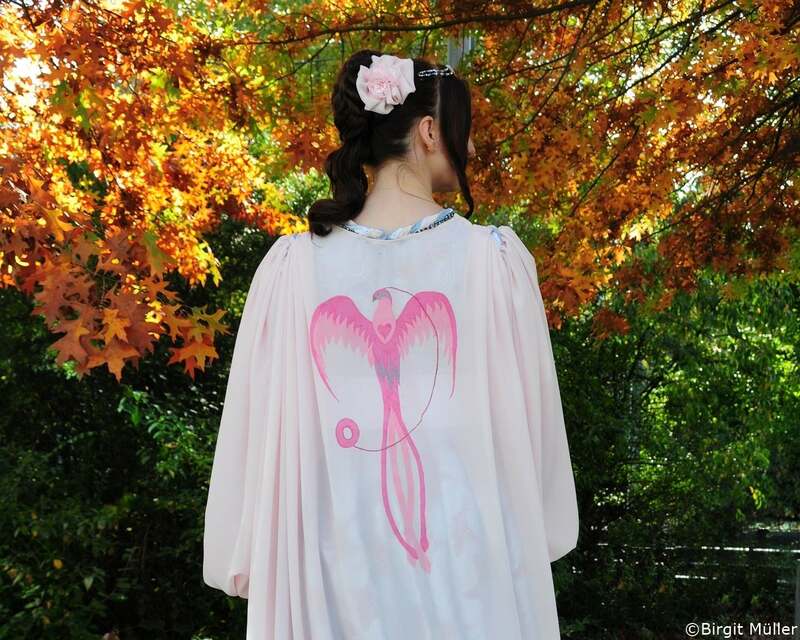 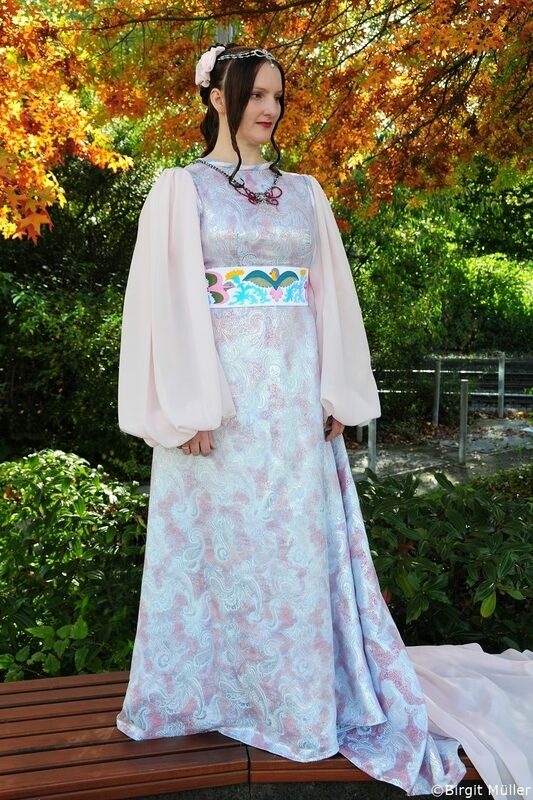 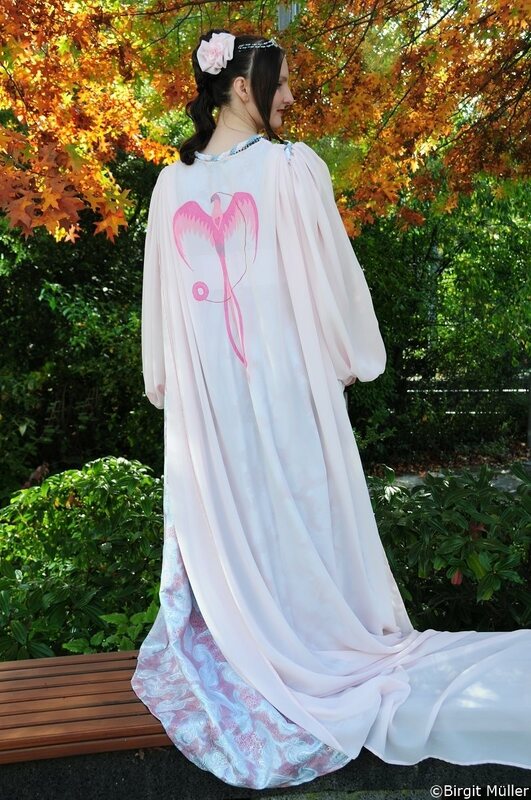 The sleeves and train are made of light pink chiffon. 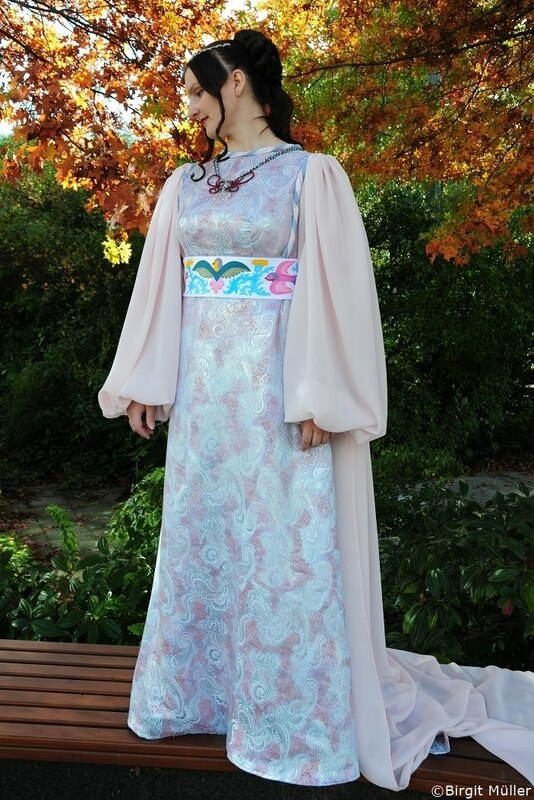 The gown has vertical bust darts and a waist seam which is covered by a wide belt. 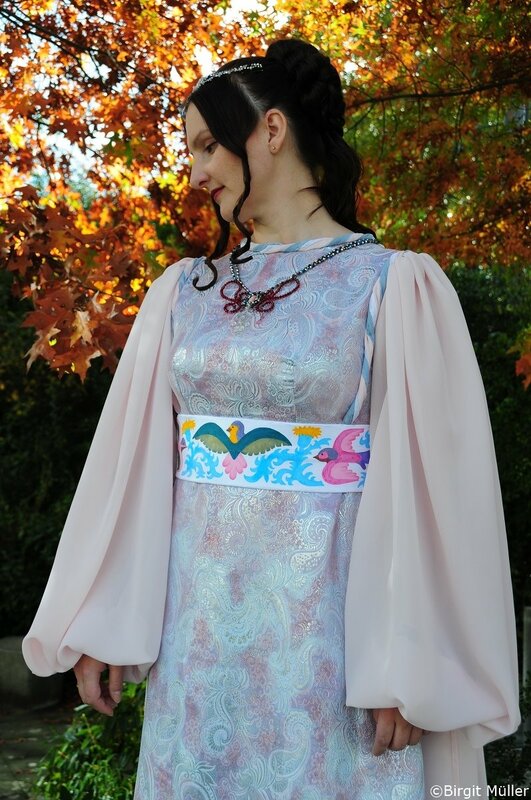 The belt is made of off-white duchesse satin and is held in place with the help of a three-colored twisted braid made of chiffon in light pink, cream and Capri blue. 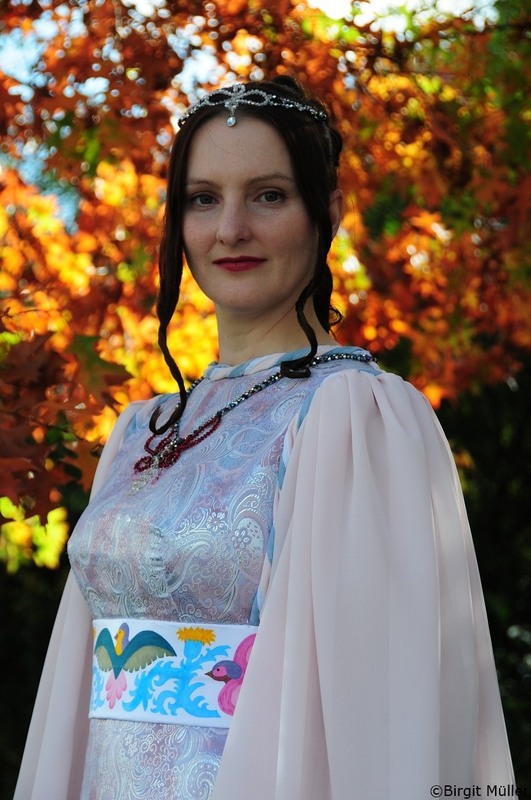 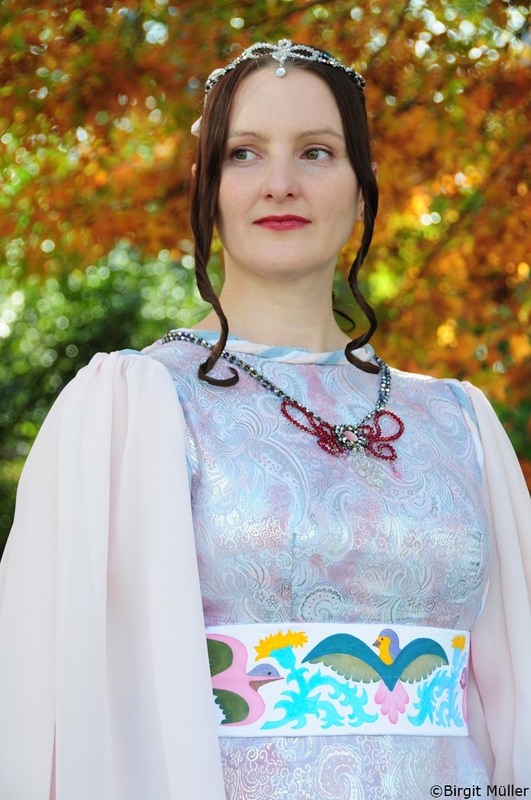 The same braid is also decorating the neckline. 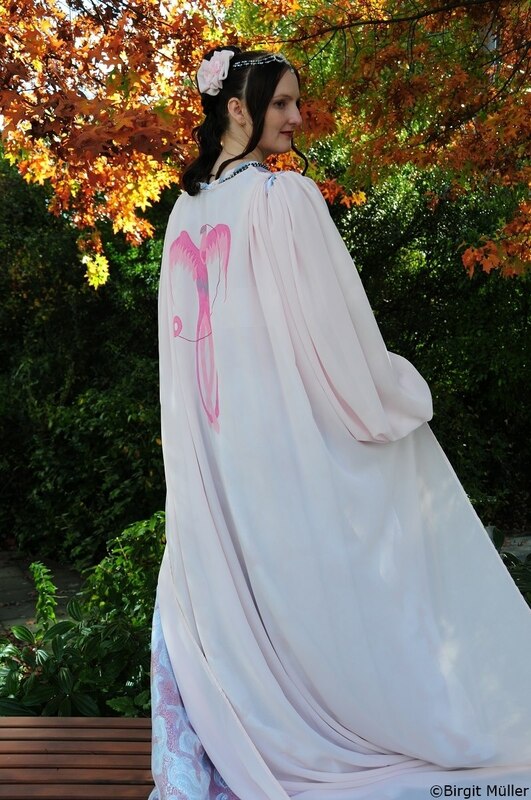 The train is made of a very long, rectangular piece of light pink chiffon which is attached to the gown at the shoulder seams. 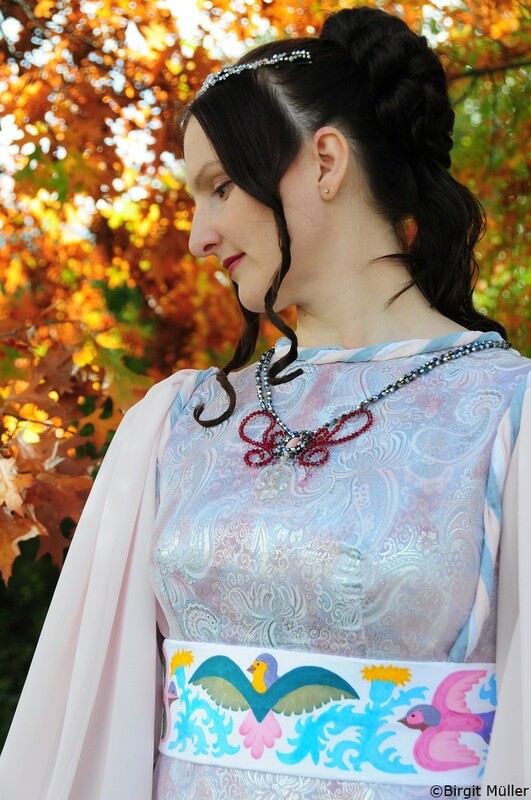 The belt and train are hand painted with doves, plants and Phoenix motifs. 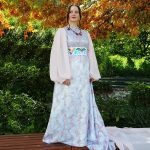 The gown has a short train, is completely lined with light grey vicose taffeta lining and closes in the back with an invisible zipper. 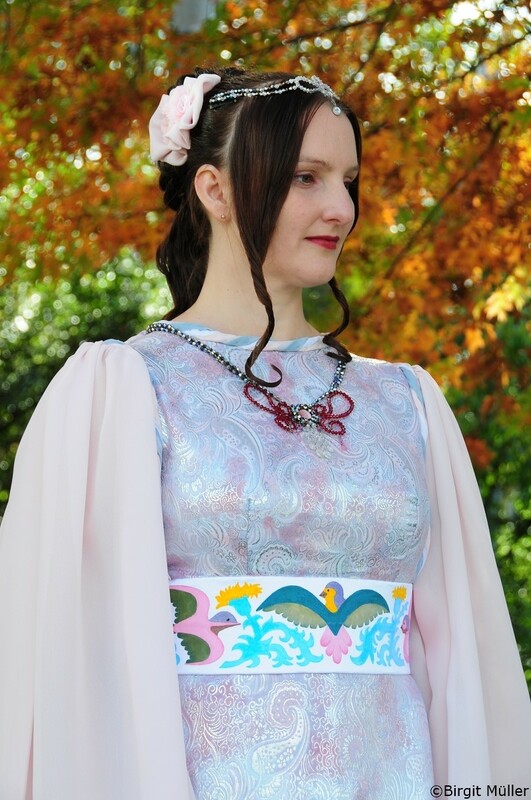 The hair jewelry and the necklace are made of red, anthracite, silver and clear bicone crystal beads, wire, nylon thread, a metal ornament as base and a light pink cabochon gemstone. 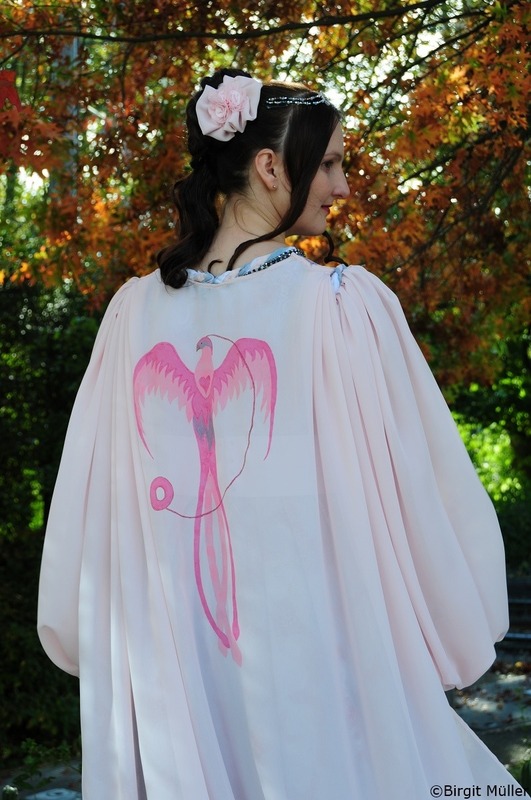 A light pink, crescent veil is attached to the hair jewelry. 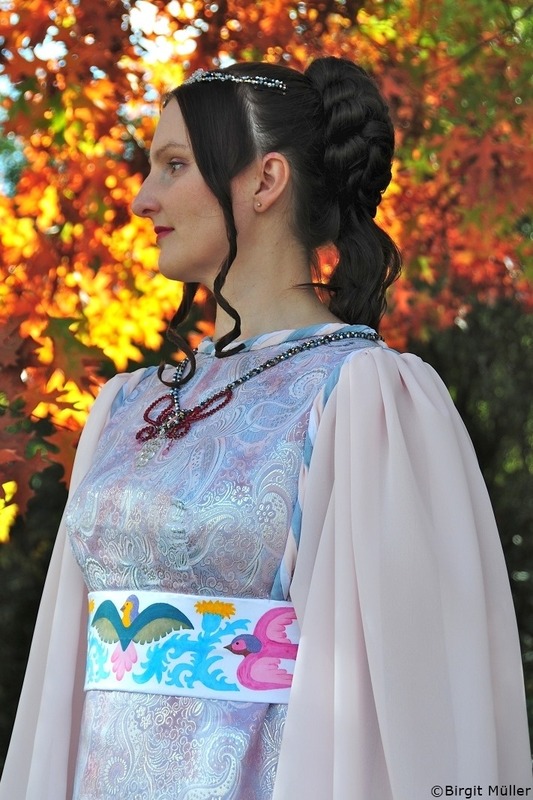 The curled hair piece is decorated with two flowers of light pink chiffon.